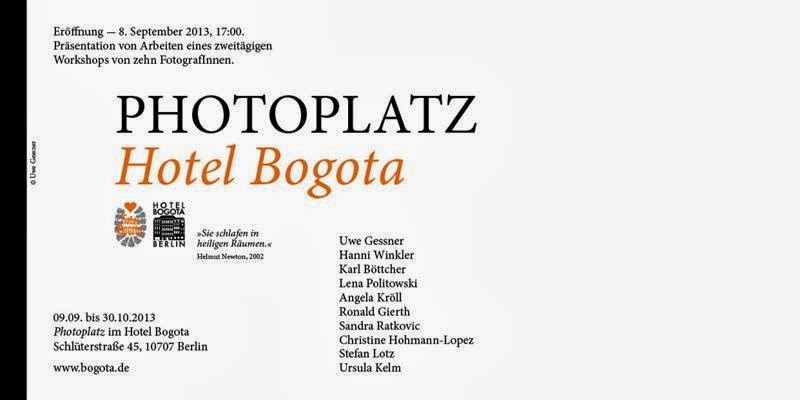 If you are in Berlin, do not miss the exhibition at PHOTOPLATZ, in Hotel Bogota, near Kürfusterdamm in West Berlin. world of stories, that renewes itself every night, with new guests and new events. we can just imagine how many other stories happened there. 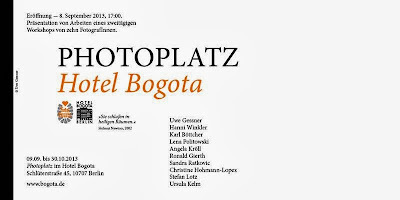 The exhibition is part of a series of events focused on saving the Hotel Bogota from the voracious gentrification, widespread also in West Berlin. Unfortunately the petition created to save the Hotel, the various articles on local newspapers and the interest of several people didn't manage to stop the awful project of closing down the hotel make luxurious apartments out of it. It is really a pity because here you can really breath history. 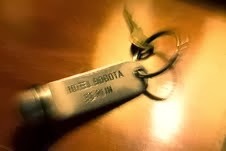 I had the luck to visit the exhibition with one of the photographers, Stefan Lotz, who showed us the little secrets of the hotel: for example there is a room where nazi officials, during IIWW , chose actors for propaganda films. On the fourth floor, left hand side corridors, you can also find a permanent exhibition dedicated to YVA, an artist and fotografer active in the 20'/30', colleague of Helmut Newton. Her atelier used to be where now her photos hang. She died in concentration camp. It is really painful to think that all this stories and memories will be soon lost, will be destroyed and the Hotel will be sold and redeveloped in stupid luxurious apartments. The selling out of the city is getting very very wrong. breakfast room is, and the (very) small garden. Go and see the exhibitions, go to say goodbye to this beautiful place, the Hotel Bogota in West Berlin.